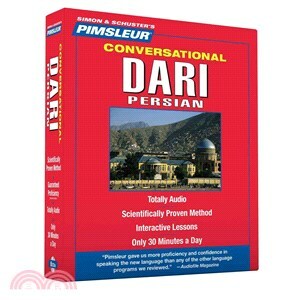 The 16-lesson (8 CDs) Conversational Course gives customers the first half of the incredibly effective and efficient, world-famous Pimsleur Comprehensive Program. Customers will love the experience of acquiring the essential grammar and vocabulary of Afghanistan, during the spoken practice sessions. It is this ease of language acquisition that makes the full Comprehensive Pimsleur Program so popular and successful for adult language learners.